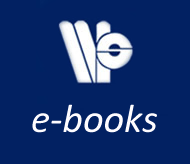 This book focuses on the development of physical parameterization over the last 2 to 3 decades and provides a roadmap for its future development. It covers important physical processes: convection, clouds, radiation, land-surface, and the orographic effect. 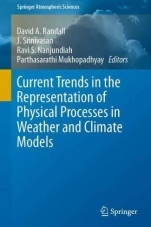 The improvement of numerical models for predicting weather and climate at a variety of places and times has progressed globally. However, there are still several challenging areas, which need to be addressed with a better understanding of physical processes based on observations, and to subsequently be taken into account by means of improved parameterization. And this is all the more important since models are increasingly being used at higher horizontal and vertical resolutions. Encouraging debate on the cloud-resolving approach or the hybrid approach with parameterized convection and grid-scale cloud microphysics and its impact on models' intrinsic predictability, the book offers a motivating reference guide for all researchers whose work involves physical parameterization problems and numerical models. Author Biography: Prof. David A. Randall received his Ph.D. in Atmospheric Sciences from the University of California, Los Angeles, in 1976. He served as a faculty member at the Department of Meteorology, Massachusetts Institute of Technology from 1976 to 1979. Subsequently, he served as a meteorologist at the Global Modeling and Simulation Branch, NASA/Goddard Space Flight Center (1979-1988). Since 1988, he has been a member of the faculty at the Department of Atmospheric Science, Colorado State University, where he is currently a University Distinguished Professor. He has received prestigious awards including the Jule Charney Award from the American Meteorological Society, 2014; Coordinating Lead Author for the Fourth Assessment of the Intergovernmental Panel on Climate Change, which shared the 2007 Nobel Peace Prize; Fellow, American Geophysical Union, 2002; NASA's Medal for Distinguished Public Service, 2006; the Meisinger Award from the American Meteorological Society, 1994; NASA Medal for Exceptional Scientific Achievement, 1988; Fellow, American Meteorological Society, 1986 and many others. He has published more than 230 peer-reviewed research papers and two books. Prof. J. Srinivasan is currently a Distinguished Scientist at Divecha Centre for Climate Change, Indian Institute of Science, Bengaluru. He received his Ph.D. from Stanford University and then worked as a member of faculty at the Department of Mechanical Engineering, IIT Kanpur until 1982, when he joined the Department of Mechanical Engineering, Indian Institute of Science, Bengaluru. He worked as an NRC Senior Resident Research Associate for NASA in Langley, Virginia, USA from 1993 to 1995. He subsequently served as Chairman of the Centre for Atmospheric and Oceanic Science (1996-2005), and as Chairman of the Mechanical Sciences Division, Indian Institute of Science, Bengaluru (2005-2009). He established the Divecha Centre for Climate Change, Indian Institute of Science, Bengaluru in 2009 and was its Chairman until 2016. His research interests include monsoon models, monsoon variability, simple climate models, satellite meteorology and renewable energy. He served as a Lead Author on the IPCC's fourth and second Assessment Reports, and as a Review Editor on its third Assessment Report. He is a Fellow of the Indian Academy of Engineering, Indian National Science Academy, Indian Academy of Sciences, and Indian Meteorological Society, and has published 140 research papers in peer-reviewed journals. Ravi S. Nanjundiah received his Doctor of Philosophy in Atmospheric Sciences from the Indian Institute of Science, Bengaluru, India in 1992. He worked as a Postdoctoral Fellow in the CHAMMP (Computer Hardware, Advanced Mathematics and Model Physics for studying global change) project at the Mathematics and Computer Science Division of Argonne National Laboratory from 1993 to 1995. He has been a faculty member of the Centre for Atmospheric and Oceanic Sciences, Indian Institute of Science, Bengaluru since 1995. He served as the Chairman, Centre for Atmospheric and Oceanic Sciences from 2013 to 2017. Since March 2017 he has been Director of the Indian Institute of Tropical Meteorology, Pune, India. He served as an Associate Editor for the Journal of Earth System Sciences (published jointly by the Indian Academy of Sciences, Bengaluru and Springer) from 2008 to 2014. He was awarded the Sir C. V. Raman Young Scientist Award for the year 2000 in the field of Earth Sciences, and the Nvidia Innovation Award for the year 2013. He has published over 75 papers in peer-reviewed journals. Dr. Parthasarathi Mukhopadhyay is currently working as a senior scientist at the IITM, Pune, India. He received his Ph.D. degree from S. P. Pune University in 2005 and has since worked extensively in the field of numerical modelling of mesoscale systems, thunderstorms and tropical cyclones. He has particularly contributed to the development of cloud and convective processes in numerical models. He was awarded the IITM Pune's Silver Jubilee Award for best research paper in 2002 and 2010, and received the Ministry of Earth Science's Certificate of Merit for outstanding contributions in Atmospheric Science and Technology in 2015. An Adjunct Professor at the Department of Atmospheric and Space Sciences, S. P. Pune University, he has published 46 papers in peer-reviewed journals. Model systematic errors in the annual cycle of monsoon: Inferences from process-based diagnostics.- Challenges in tropical numerical weather prediction at ECMWF.- Convection Initiation in Climate Models using the Heated Condensation Framework: A Review.- Cloud Microphysics Across Scales for Weather and Climate.- Microphysical representations and their consistency with in-situ and remote-sensing observations.- Convective Available Potential Energy and Precipitation in a Cloud Resolving Model Simulation of Indian Summer Monsoon.- A Gray Zone GCM with Full Representation of Cloud Microphysics.- The Stochastic Multi-cloud Model (SMCM) convective parameterization in the CFSv2 : Scopes and Opportunities.- The IITM Earth System Model (ESM): Development and Future Roadmap.- Cumulus friction in the Asian monsoon of a global model with 7km mesh.- Difficulties in the subgrid-scale redistribution of moisture of a global cloud-resolving model.- Challenges of improving the stratiform process in a coupled climate model with Indian monsoon perspective.- Current and Future Activities in Modelling & Data Assimilation at NCMRWF.- Microphysics in Goddard Multi-scale Modeling Systems: A Review.- Stochastic Representation of NCEP GEFS to Improve Subseasonal Forecast.- New Pathways for Moist Convection Parameterisation.- Land Surface Processes.